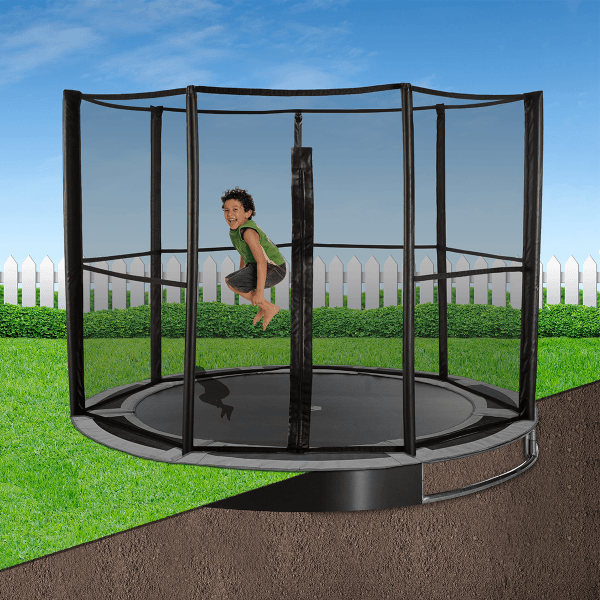 The 12ft safety enclosure is designed to fit the 12ft Capital In-ground Trampoline. It comes with a strong net, thick foam-covered enclosure poles and easy access, full height entry zip. 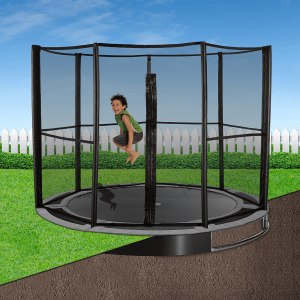 Whilst having a safety enclosure with your in-ground trampoline is not always necessary, the Capital in-ground Trampoline Enclosure is a great option for providing extra protection for your children and also allows you to position the trampoline closer to walls and hedges. Our super tough net is made from a tried and tested polyurethane material which will not rip, fade or rot. This enclosure kit comes complete with 35mm in diameter poles which are made from heavy duty, rust-proof steel that is designed not to bend. The poles come with foam covers that protect the user if they should fall against the pole. To make it easier to get on and off the trampoline we have added a longer length access zip – meaning it’s just as easy for taller teens & even mom and dad to get on the trampoline!